Tom Brady just authored the greatest comeback in Super Bowl history while collecting his third Super Bowl MVP and his fourth ring overall. Meanwhile, Richard Sherman acknowledges his opponent in classy fashion. 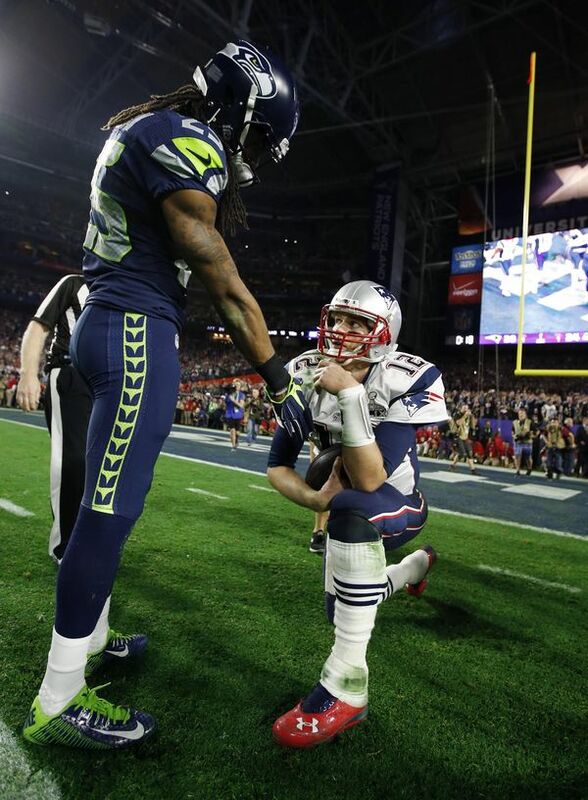 Moments later, Sherman and Brady did indeed shake hands. Ladies and gentlemen, that was a football game. Expect for the interception. That was utter nonsense.